t’s an exciting time for earth science, not only in the Indian Ocean but in the Atlantic as well. At the same time as we are drilling deep into Atlantis Bank, the British research ship RSS James Cook is studying another mid-ocean ridge: the Mid-Atlantic Ridge. You may recall we’re studying the southwest Indian Ridge, which spreads very slowly; it often spreads through faults, exposing deep crustal rocks on the seafloor. The Mid-Atlantic Ridge is overall faster but Scientists aboard the James Cook believe that there are sections where the supply of magma is too low to fill the gap created by seafloor spreading and you see similar faulting and lower crustal rocks as we do here in the Indian Ocean. 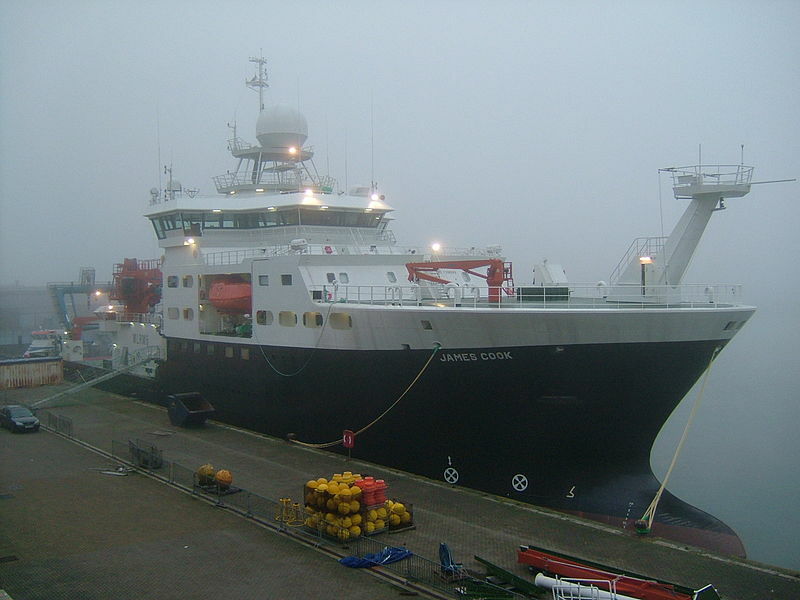 The James Cook is studying a section of the ridge around 13º N to understand the extent and nature of these faults. The link between these expeditions is particularly strong as the current co-chief scientist on the JR, Chris MacLeod was instrumental in the planning of the cruise aboard the James Cook. In fact, he has often joked that he has spent years preparing for these two expeditions and they ended up happening at the same time so he could only go on one of them! 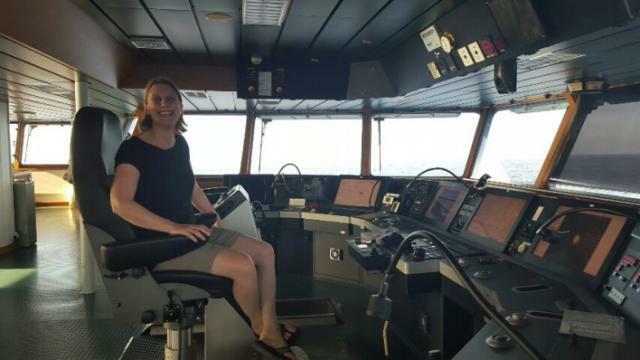 The James Cook is lucky enough to have Angela Bentley, head of geology at Aquinas College onboard as their superstar teacher at sea and one-woman outreach team. She maintains a very active blog< and you can also follow her adventures on twitter<. We were lucky enough to speak with Angela and her students from the JR before she left in December and are following her adventure closely!